Although divorce rates are lower than ever before, 40 to 50 percent of married couples in the United States end up getting divorced. Divorce is so commonly thrown around that it seems like it’s pretty simple because everyone gets them. There’s actually a lot of complicated legal steps involving divorce attorneys that go into the legal side of divorce. 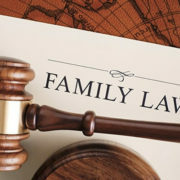 Here at Kirbo Law Firm, our divorce attorneys recognize this can already be a difficult enough time, without the heartache and stress of not knowing what the end result will be – that’s why we’ve compiled a list of steps you should take in an effort to help you what getting divorced actually entails from the decades of experience we have as Moultrie Divorce and Family Law Attorneys. First, before getting into the legal parts of Divorce, we might as well mention the option of an Annulment. Annulments end a marriage like a divorce does, but it states that the marriage never happened. Depending on your religion, Annulments might be required for you to remarry. 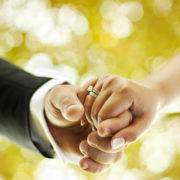 According to howstuffworks.com, there are four grounds for annulment. If you feel you meet the requirements for an annulment, you may want to try that first. If you serve your spouse with divorce papers and they are not responded to within the amount of time required, a judge can grant you everything you requested. However, if the spouse cannot be found to be served, a “service by publication” can be filed and the divorce request would appear publicly in local papers where your spouse was last located. This can take a while to get a response to. In the case of a mediated divorce, A mediator is hired to serve as a neutral party to help both spouses discuss negotiations and decisions. They do not decide like a judge would but help both parties come to an agreement. Collaborative divorce is a mix between a mediated divorce and a standard divorce. Each party hires a lawyer that work together to settle the case. Each lawyer gets all the information from their party (legal information, financials, etc). The lawyers get together and discuss possible resolutions. If the decisions they come up with are opposed by either party, they will have to go to divorce court and hire new divorce attorneys. With an arbitration divorce, a private judge is hired by both parties and makes a decision like a judge would. However, you must abide by his decision whereas you may be able to appeal with a judge. Disclaimer: You may start out a divorce one way but it goes in another direction. In the steps below you will see how a contested divorce could go to a mediated divorce to a trial divorce. There are two different things you can file for. You can at first file for a legal separation or just go for the outright divorce. Most states require you are separated, living and sleeping in different locations. This is different than legal separation. Tip to remember: If you are filing for divorce, make sure to do it in your state of residence. Some states have adopted the Uniform Divorce Recognition Act, which requires the filing to be in the state where both parties reside. If you state has this policy and you file in another state, your state of resident won’t recognize the divorce. The person who files for divorce needs to also file for a document that shows that a copy of the divorce petition was given to the other party, this document is known as a Service of Process. Two common ways to do this are to have the Service arranged to go to the other parties divorce attorney, while the other way is having a process server giving it to the spouses place of employment. The latter is usually considered rude. Once the other party receives the service of process, they need to file a response to the petition. If a divorce was filed for on grounds the other party doesn’t agree with, they may dispute those grounds in response and come back with a defense. There is also the “Discovery” portion of the process. Discovery is the time to gather information about either parties in the divorce. During this time, divorce attorneys for both parties will request a list of items from the other party that must be responded to within 30 days. There is a list of questions sent to the opposing side that must be answered, as well as a list of written facts that the party receiving must either admit or deny. This is also where a person will respond with what they feel they deserve in regards to property, financial support, child custody, or other issues. 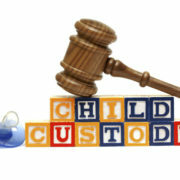 Note: When child custody is involved, a custody petition must be filed separately from the divorce filing itself. Remember to make the best interest of the child the priority here. This is the part used to gather documents from the respective parties that could be statements of income, bank statements, etc. This is often a place that delays the divorce process as people have trouble giving out their personal information. However the party who receives a request for production must respond with the documents in 30 days. If two parties are having a hard time negotiating custody of the children, often the court orders mediation, the help of a social worker, or other court employees to represent the children. Each party will give the other parties divorce attorney a sworn testimony. They will also take testimonies from witnesses to the marriage. You have to be careful here because anything said during this deposition may be used in court if the negotiations don’t have a resolution and both parties end up in divorce court. If you do end up going to trial, the divorce will last longer and cost more money. It’s always advised to try to not go to trial. First you will go to divorce mediation before having to go to court. Both parties and their divorce attorneys come together to discuss conflicts and negotiations and try to come to a conclusion. There is another divorce attorney present, which is a court appointed “mediator.” He is there to be in the middle of the two parties. 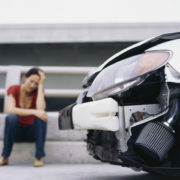 In the case of the mediation failing, you will go to trial or divorce court. Both parties argue their case before a judge. You should always discuss what you will say and your strategy with your divorce attorney. After the trial, the judge will make a decision based on both testimonies and usually give a response within two weeks. If there is no response in that time, you should contact your divorce attorney. Once the judge makes a decision, both divorce parties will have to sign a document including the final decision of the divorce. This is called the Order of Dissolution. Read the document line by line and decide if there’s anything you’d like to change and you can request it. Pay attention to the wording, loopholes exist. If you are still unhappy with the outcome, you may file a motion to appeal the order and try again. You will be given the same judge in that hearing though and you rarely will get approved to go to trial again. If you still feel that strongly about it, you can file an appeal with the state appellate court. Remember, quick divorces can be common if there are no children or marital assets to split. However, when children and assets are involved, you shouldn’t be surprised if it takes longer than you’d like. It’s a lot of back and forth paperwork and negotiations with someone you’re trying to divorce. It may take a few months. Hopefully each party is reasonable and that’s all it takes. Going through a divorce can be a difficult, tedious and heartbreaking process. That’s why you should hire the best Moultrie lawyers who will do everything they can to make it a quick and seamless process that results in your best interest. Here at Kirbo Law Firm, we want to do that for you. Contact us now if you have any questions or are looking for a divorce attorney in Moultrie, Georgia.